The Canadian government is clearly pretty unhappy with the U.S. decision to slap a 20% tariff on softwood lumber imports from the country. The retaliatory action by the administration of U.S. President Donald Trump in a trade dispute will tax lumber used to build single-family homes. Commerce Secretary Wilbur Ross said the tax will be applied retroactively, affecting Canadian exports to the U.S. of around $5 billion a year. 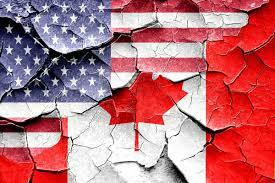 The U.S. has accused Canada of allowing loggers to cut down trees cheaply and then sell at cut-rate prices, while there has also been a simmering disagreement between the two countries over dairy prices. The U.S. decision is preliminary, with a final ruling to be made by the Commerce Department. At that point, the U.S. International Trade Commission must determine whether the U.S. lumber industry has suffered. “In ruling after ruling since 1983, international tribunals have disputed the unfounded subsidy and injury allegations from the U.S. industry. We have prevailed in the past, and we will do it again,” said Carr and Freeland, but added that they’re committed to coming up with a “durable solution” with the U.S.